While Apple Maps is currently restricted to dedicated apps on iOS and OS X, that will change, as a new job listing from Apple reveals the company plans to make its mapping service available cross-platform on the Web. Currently, Apple Maps are only available on iOS 6 and later, as well as OS X 10.9 Mavericks and newer, but presumably a Web-based Maps service would allow users on other platforms, such as Microsoft's Windows, to access the service. Such a move would not be a huge surprise for the company, which already offers much of its iCloud service, as well as the iWork productivity suite, in cross-platform browser-based forms. Apple already owns and uses a Web URL for its mapping service at maps.apple.com, but in its current form it cannot be used to access Apple Maps via a browser. 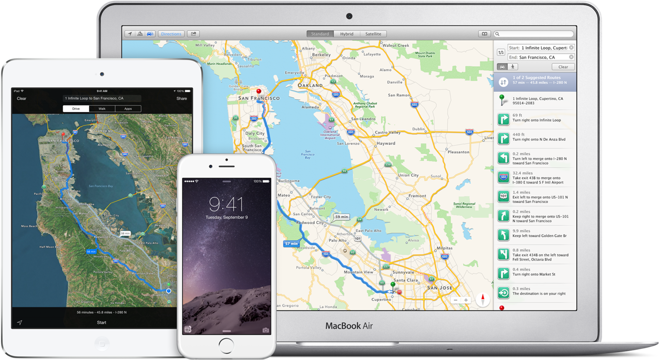 Instead, Apple uses it to allow users to share map data with other users and other devices, including cross-platform transitions between OS X and iOS. The job listing marks the second time this year that Apple has revealed future plans for its Maps service via a vacancy. Back in April, AppleInsider was also first to report that the company advertised plans to bring public transit information to Apple Maps. 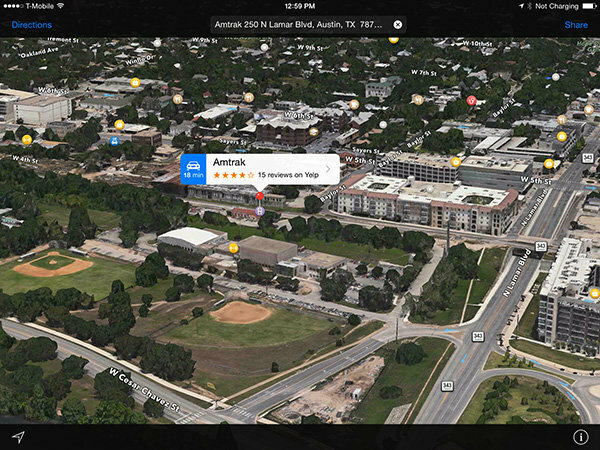 A major overhaul of Apple Maps is widely expected to be a key feature of the next generation versions of iOS and OS X, to be announced at the annual Worldwide Developers Conference next week. Beyond cross-platform Web access and public transportation, other potential additions could include crowdsourced traffic information, indoor location tracking, and more detailed Flyover "street view" data thanks to Apple's mapping vans that have been driving around the U.S.